Switzerland in the near future of the year 2032. Years of financial crisis and war have brought the once flourishing country to the brink of collapse. One day a gigantic creature that seems to have an uncanny resemblance to the Swiss national symbol William Tell appears in various parts of Zurich. Battling criminals and crooks he seems to be on the side of the common people to restore law and order. The citizens see in him the long awaited savior and patriotism awakens again. Finally there is a hero to fight for the rights of the people. But who is this TELL? And what are his true intentions? 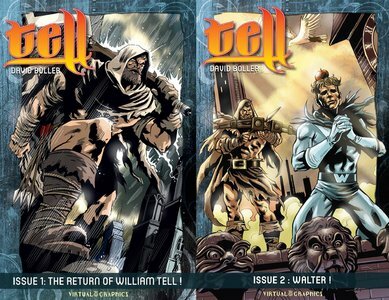 In 1992 David Boller left Switzerland for the USA to become a professional comic book artist. A simple goal turned into a sixteen year long adventure, populated with eccentric characters and accompanied by success and defeat that continue to have a profound influence on his life today. David talks about his experience in the American comic book industry, his struggles with his adopted family and his attempt at getting a piece of the American Dream in an honest and easygoing style. 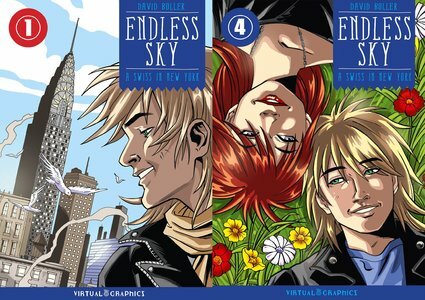 A captivating new autobiographical graphic novel by acclaimed European creator David Boller.